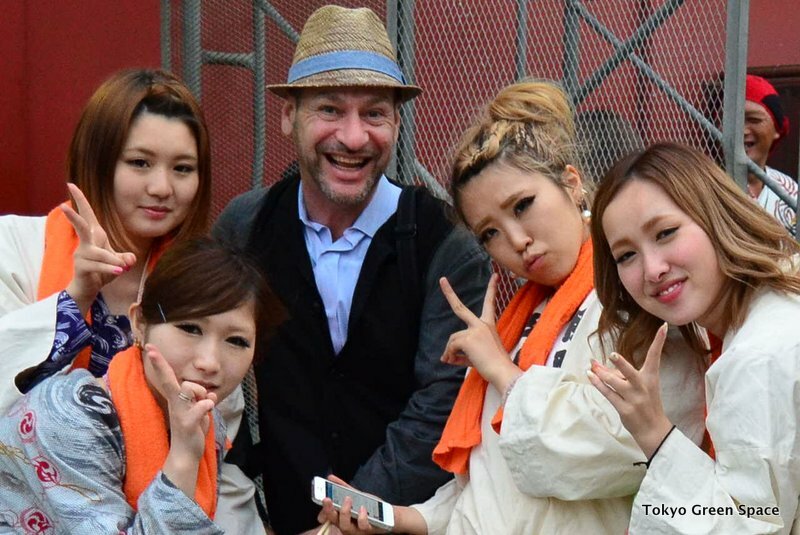 Making friends at a festival is very easy. 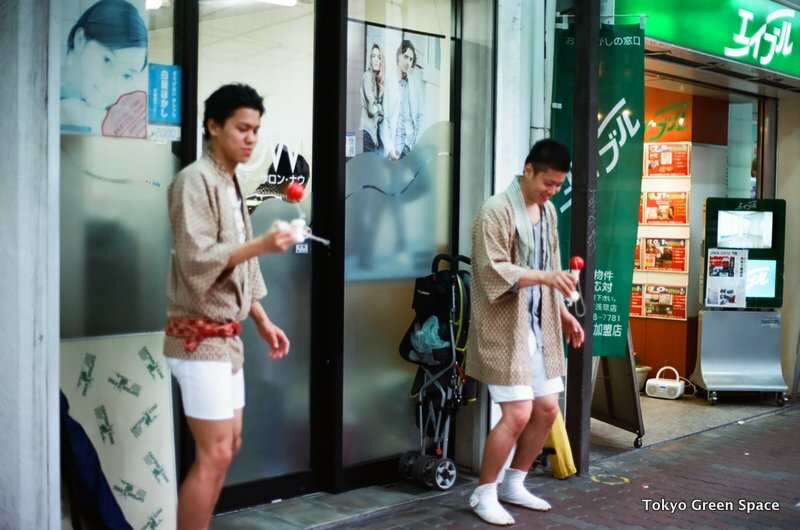 Thanks, Albert, for taking this photograph! 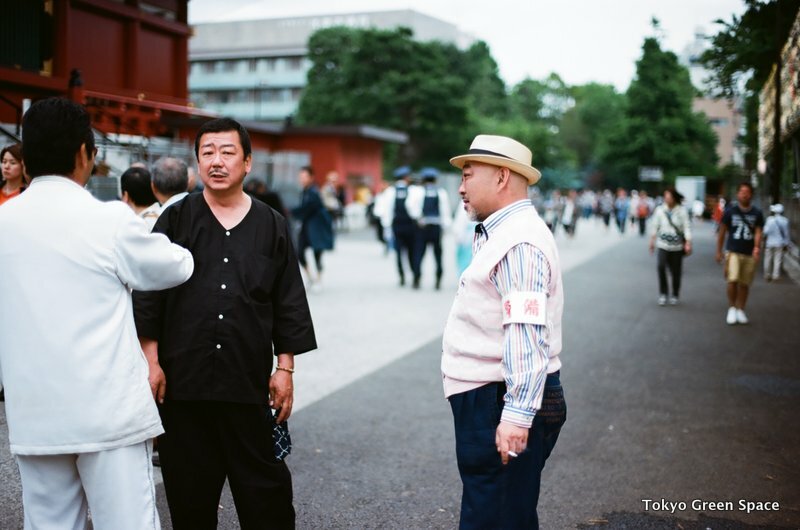 These gentlemen look like they’ve participated in the Asakusa sanja matsuri many times before. 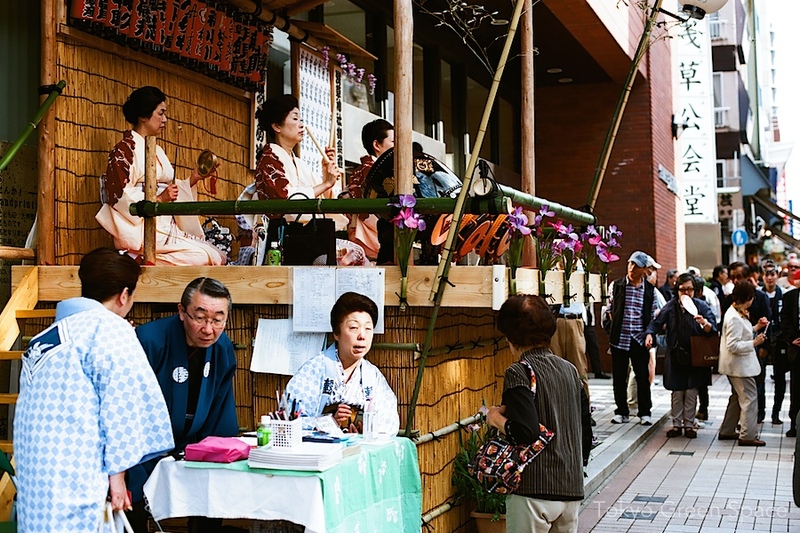 They seem very much at home in Tokyo’s shitamachi, known for its traditional, Edo-influenced culture. 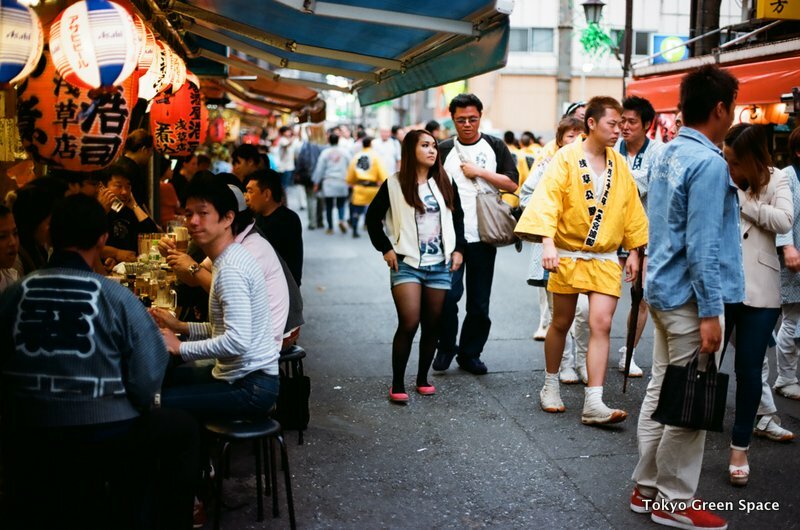 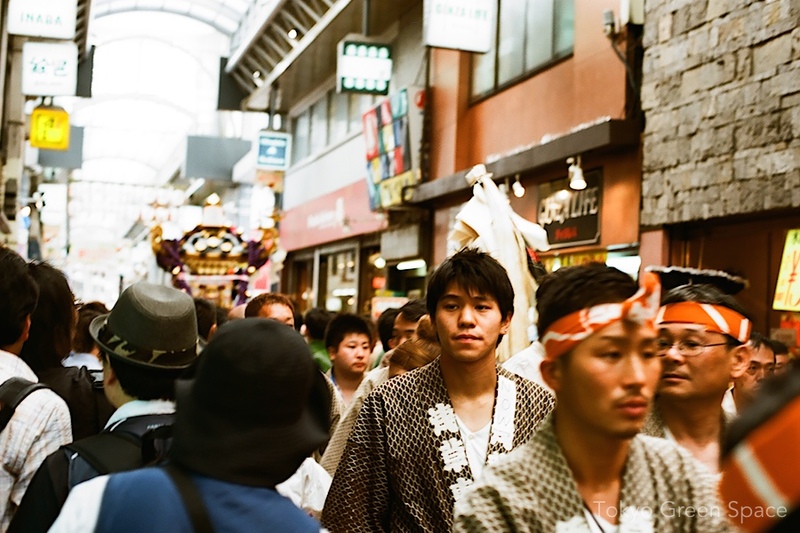 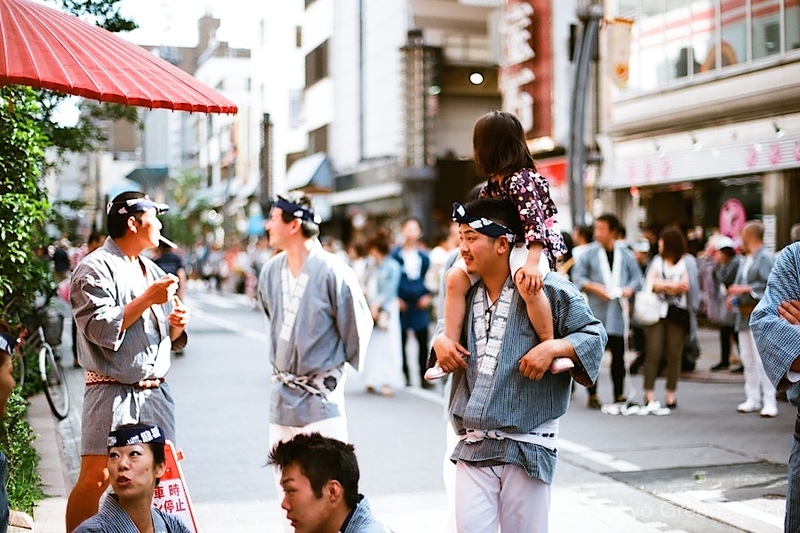 Alongside the worship of local dieties, who are physically carried through the streets, Tokyo matsuris bring clans together and express group identity with matching jackets. 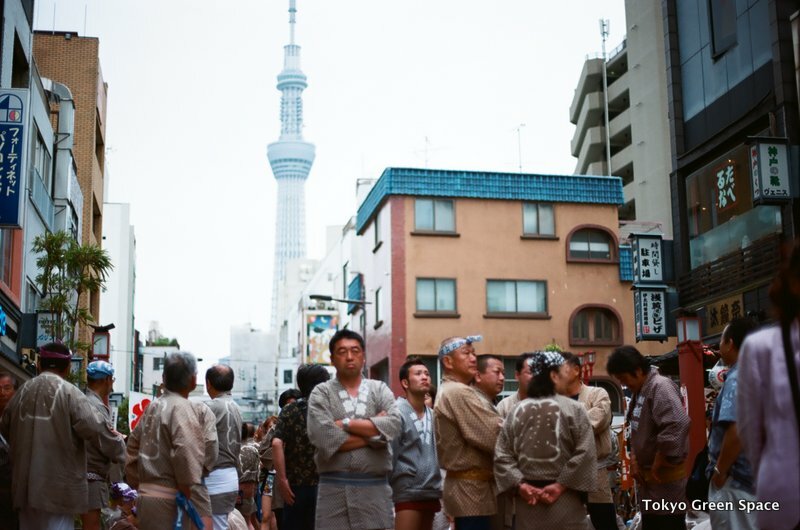 Sky Tree in the background provides a contemporary marker to what feels like a timeless ritual . 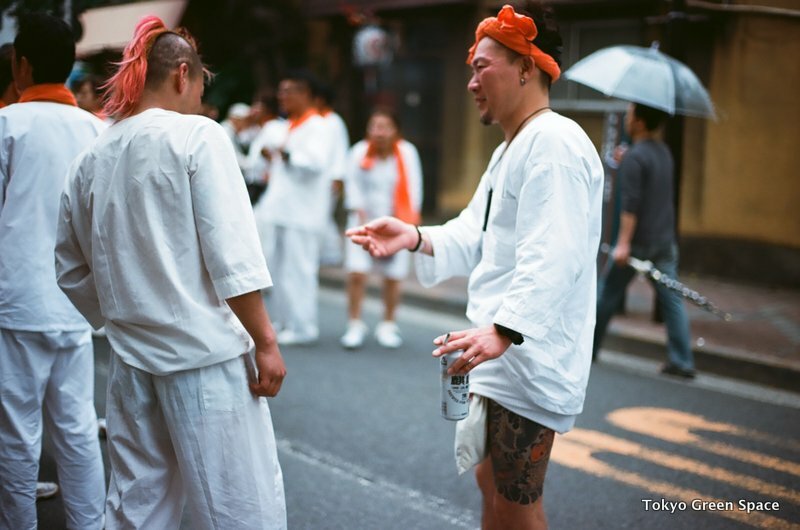 While much of “proper” Japan forbids the sight of tattoos, at festivals there is a proliferation of working class fashion, including large visible tattoos. 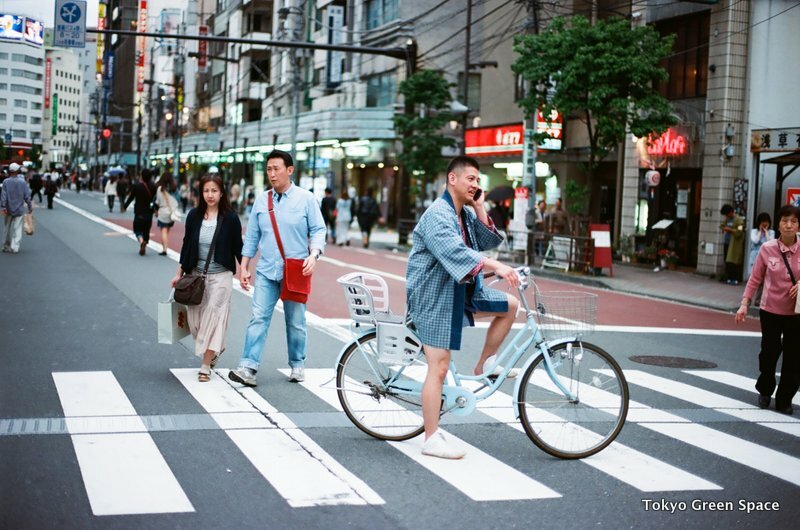 I was equally struck by the long pink mane that makes the other fellow look like a punk version of My Little Pony. 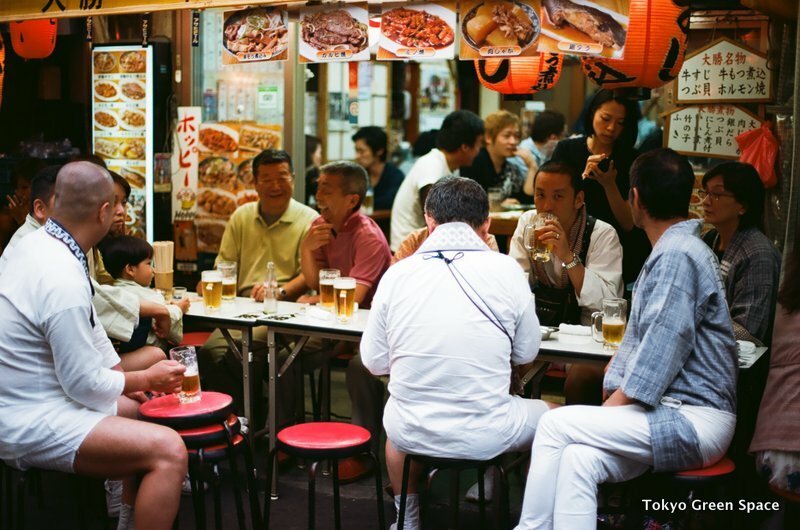 On-street drinking and smoking are also possible. 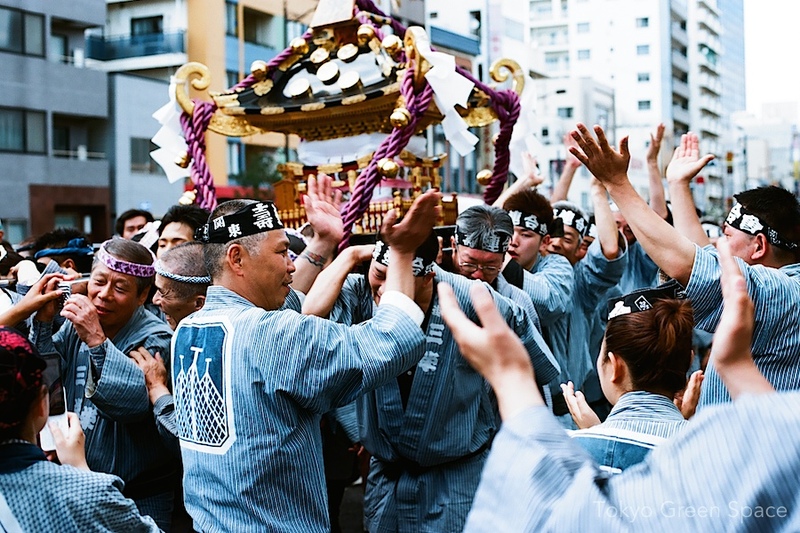 I love Tokyo when festivals bring neighbors into the street carrying portable shrines; eating, drinking and dancing on streets closed to traffic; and wearing traditional outfits. 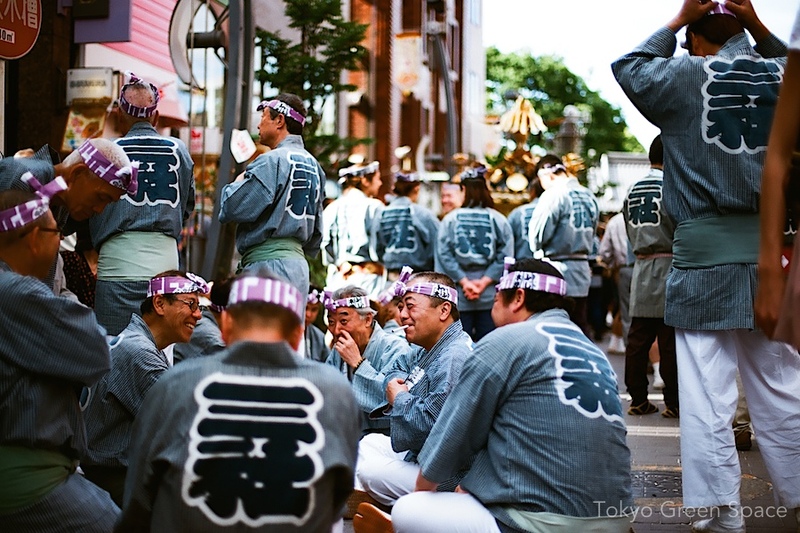 In May I went to Sanja matsuri in Asakusa as well as a festival at Hanazono shrine in Shinjuku.